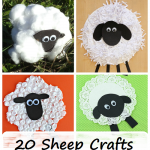 Are you looking for some fun kids activities for March? 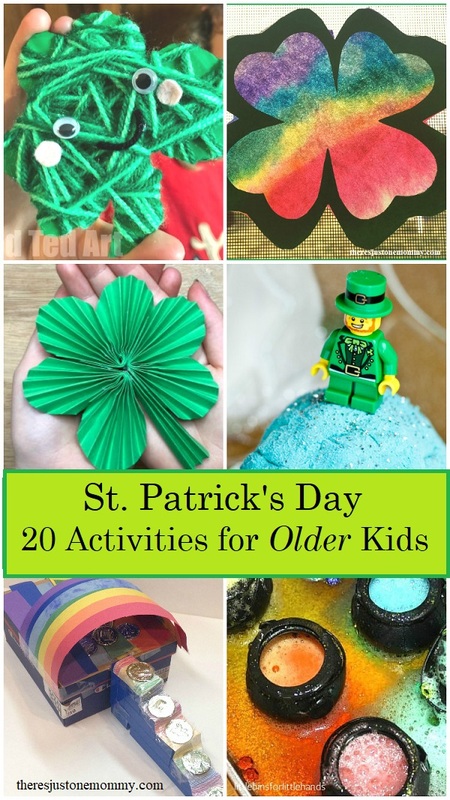 I’ve searched the web to bring you the best St. Patrick’s activities for kids ages 5-10. 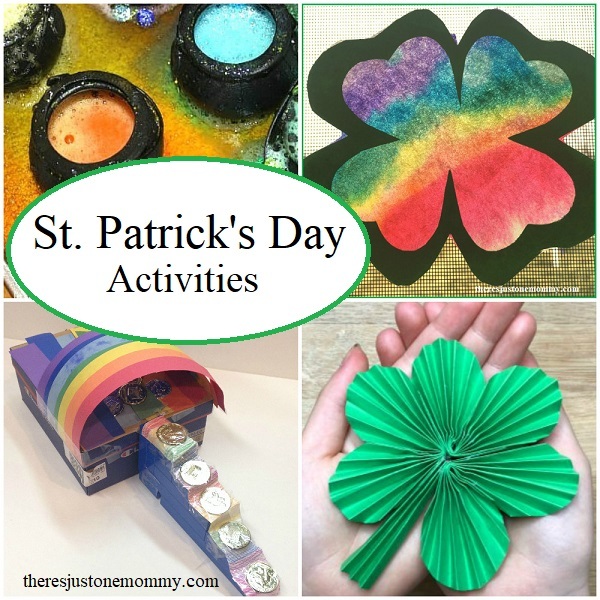 Get ready for some colorful rainbow crafts and shamrock activities perfect for St. Patrick’s Day. From shamrock crafts and plenty of rainbows, kids will have lots of fun with these St. Paddy’s Day activities. Build a Leprechaun Trap — This is a St. Patrick’s Day STEM activity you don’t want to miss. Who knows? Your child might even catch one of the little guys! Rainbow Shamrock Suncatcher — An absolutely beautiful St. Patrick’s Day craft that looks gorgeous hanging in the windows. Hidden Treasure Math Fact Zap! — Put away the flashcards and make math fact practice fun with this DIY game. Pot of Gold Sight Word Game — This is perfect for making sight word practice more fun. It can be used for spelling words, too! Rainbow Lego Treasure Hunt — Legos and a treasure hunt? A double win with this one. St. Patty’s Day Lego Challenge — Use those bricks to build St. Patrick-themed items. DIY Rainbow Water Bead Slime — Kids will have a blast mixing up this colorful homemade starch slime. Printable St. Patty’s Day Spelling Game — Fun spelling game that can be used with any spelling list. Fizzing Pots — Seriously fun twist to a classic science experiment that kids love. Leprechaun Rocks — Leprechauns are tricky when it comes to hiding their gold. Sometimes they hide it in special green rocks. Find out how to reveal the gold in this fun activity. St. Patrick’s Day STEAM — Explore mirrors and reflections while creating rainbows and shamrocks. Minute to Win It Games — 8 fun Minute to Win It games with a St. Patty’s Day twist. Shamrock Crystals — Growing these crystals is a fun kids activity for March. Paper Fan Shamrock — A bit of folding and cutting and you can create a beautiful clover craft for St. Patrick’s Day. Fused Bead Rainbow Suncatcher — Perfect for working on fine motor skills and dressing up the windows for spring. Vibrant Oil Pastels Shamrock Craft — These gorgeous rainbow shamrocks look beautiful hanging on the wall. Yarn-Wrapped Shamrocks — Make several and turn them into a mobile, or hand them out to friends. St. Patrick’s Day Jokes — The sound of children’s laughter is worth more than all the gold at the end of the rainbow. Take turns telling jokes with the kids, or pop a couple into their lunchbox as a special surprise. Shamrock Shake — Create memories and mix up your very own minty green shakes with the kids. Your children will have a blast with these magical St. Patrick’s Day activities this March. These look SO FUN!! Thanks for doing all the searching for us to find such great ideas, my friend! Sharing on my page in March!